Sean Fitzgerald wrote a piece for 24 Hour Toronto entitled "Cheers for your ears: Top podcasts of 2015". In it, he listed the top Toronto podcasts to check out in 2016. 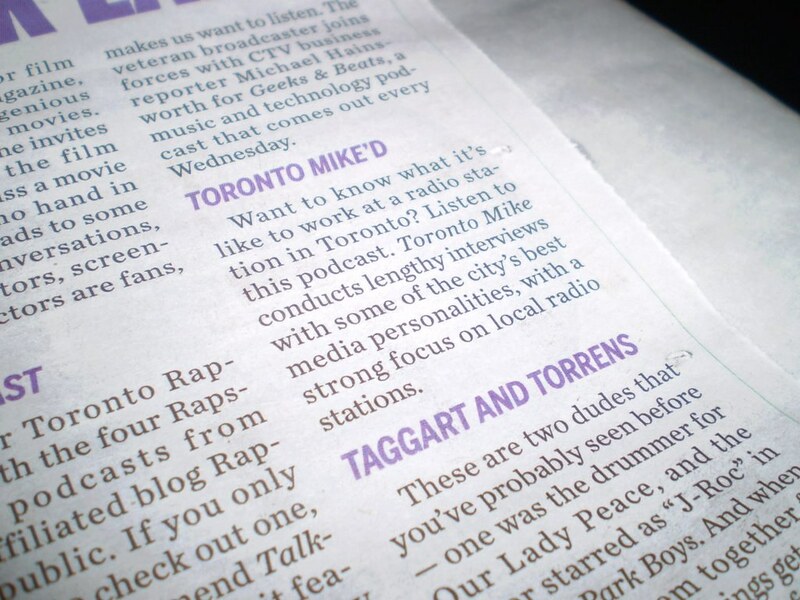 Between Geeks & Beats and Taggart & Torrens you'll find Toronto Mike'd. It's an honour being named one of Toronto's elite eight podcasts. Kudos Mike, you put out a great product that is interesting and not your standard interview. Keep it coming! Being named the top podcast for the year in a city as big as Toronto is no small feat. Congratulations on a job well done. Buy yourself an extra drink tonight to celebrate. You've earned it. I have listened to more than half of your podcasts since the beginning. The quality and professionalism have evolved into a fine presentation. You deserve the praise, Mike! So proud of you, Mike! Congratulations on your success - you put a mighty fine product out there. Congrats Mike! It's been a treat watching you grow this podcast. You turned a passion into a successful hobby. It seems like yesterday you and Rosie were putting out the first episode. Congrats to me. Congrats to Mike. And you're welcome. When are ya coming over with Spider?